Canadian vocalist who released his first studio album, PartyNextDoor Two, in July of 2014. The album peaked at number nineteen on Canadian music charts and at number fifteen on American charts and was, for a time, the number one R&B recording among American listeners. 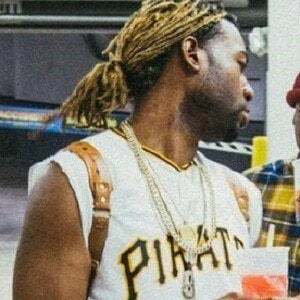 Born Jahron Braithwaite, he released his first EP, PartyNextDoor, in 2013. In 2013, he toured with rappers Drake and Future and R&B vocalist Miguel. He was born in Mississauga, Ontario, Canada. He was rumored to be dating Kylie Jenner in 2016. Drake provided vocals for the first PartyNextDoor single "Over Here."